So you are into custom jewellery and are wondering how can I market my brand? It’s not a cheap product so maybe Facebook Marketing is not for me. Well, we are glad to tell you that you are wrong and here is a case study that talks about a brand just like yours called “Blue Stone Jewellery”. Why wait let’s get into it. Founded in 2009, Blue Steel start off as an edgy jewellery line for motorcyclists and enthusiasts. With the launch of its online shop and Facebook Page, the company has expanded to bring unique jewellery designs to more people. Now that the business goals are defined let’s look at the solution. 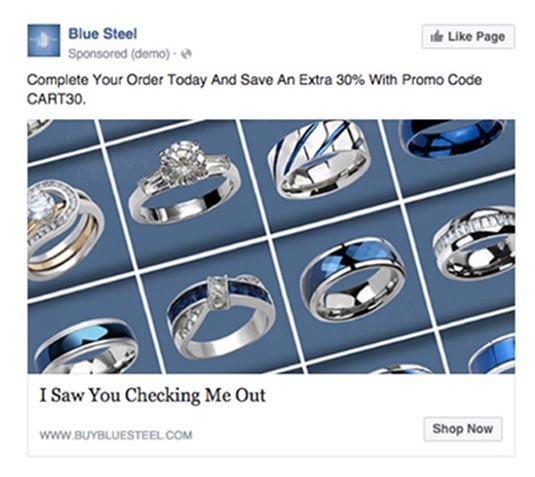 The first step in Blue Steel’s plan to boost awareness and increase sales was to switch from the conversion pixel to the improved Facebook pixel, which allows you to place a single piece of code across multiple pages on your website to report conversions, build audiences and get rich insights about how people use your website. Blue Steel used the Facebook pixel to determine the types of actions people take on its website. These actions included View Content, Add to Basket and Initiate Checkout to optimize for and track conversions. 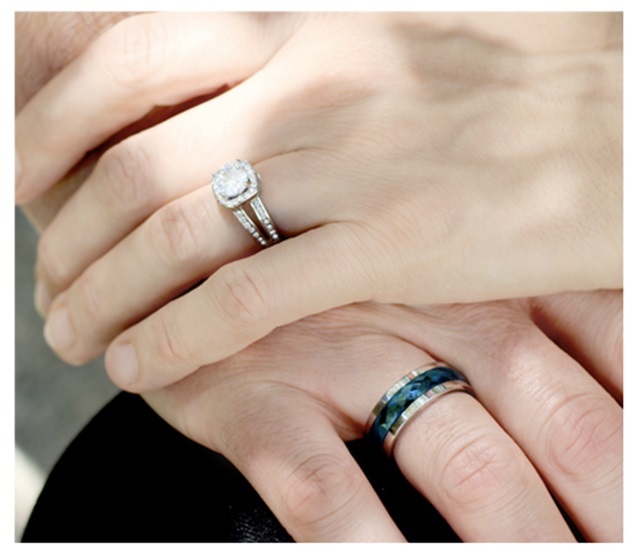 With these insights, the jeweler was able to understand more about its core audience and construct different consumer profiles, allowing it to create a Custom Audience of people who visited its website. You May Also Like To Read: Facebook Marketing for Beginners and Why Businesses need Facebook Marketing? The company also delivered dynamic adverts to a 1% Lookalike Audience, which was based on people who are similar to its current lifelong customers. Dynamic adverts help promote products to people who have shown previous interest in them through actions such as viewing details on the website or adding the product to their online shopping basket. The brand also targeted its adverts to a wider audience of men and women aged 35-65 who are interested in electronics and home and garden. 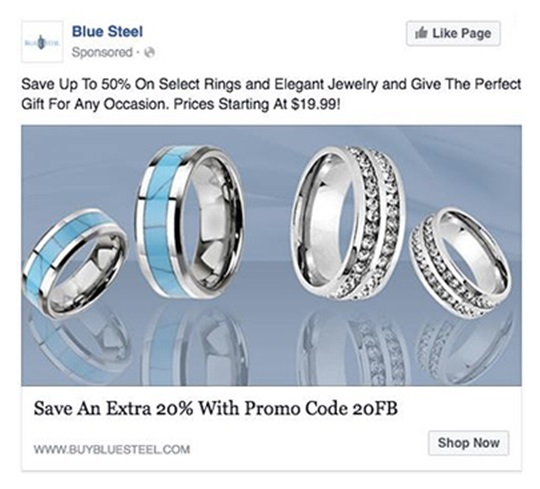 We wrote a case study for “Blue Stone” jewellery brand and how they are using Facebook Marketing for their business on December 11th, 2017. 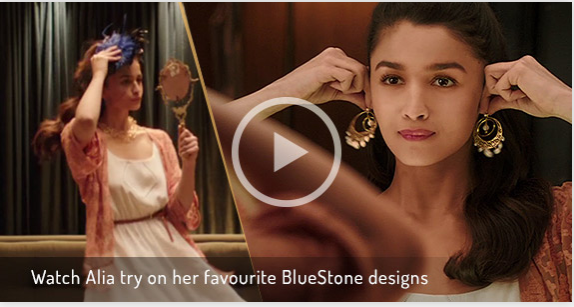 Now “Blue Stone” Jewellery has also started actively marketing on TV and Youtube with ads showcasing Alia Bhatt, whose one of the most prominent young actresses of Bollywood. The campaign showcases Alia Bhat using the latest feature of Blue Stone, “Try at Home” which allows prospective customers to try different collections from the comfort of their own home. Though this is not a new feature and “Carat Lane” which is now acquired by Tanishq has started this in the late 2015’s, Blue Stone is now heavily advertising to take advantage of a market that is already used to deliver services at home right from groceries, meat to jewellery now. We will cover “How Successful Blue Stone has been using this approach” in a few months but its new approaches like these that help a brand remain current in the market scenario and keep the buzz going to attract new customers. What about you? What new marketing approach have you been using to market your product/service? What strategies have you been using to stay current and keep the interest going to attract new customers? Interesting is it not if you want to try out Facebook Marketing for your brand as well, reach out to us at sirisha@brandingbypixels.com or call me directly on 9515110449 and we will create the RIGHT strategy for your brand TODAY! Why create a Facebook Business Page and How to create a Facebook Business Page? Facebook Posts on your Facebook Business Page.